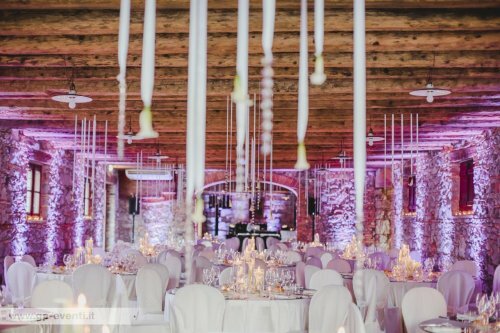 GP EVENTI has been working in the wedding field for 14 year; in fact since 2003 his founder Gerry Paredes,together with his company, has gained the experience which now allows him to fulfill the role of Wedding and Event Coordinator for all future clients. 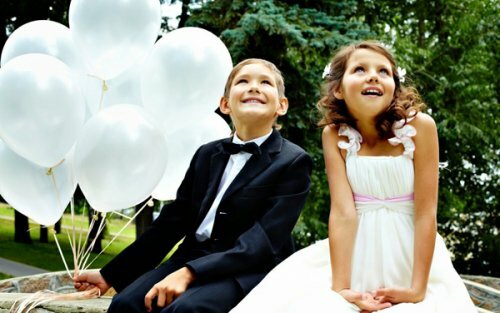 This vital role aims at helping all future brides and grooms make the most beautiful day of their lives even more charged with significance and emotion, and fundamentally perfect from every point of view. 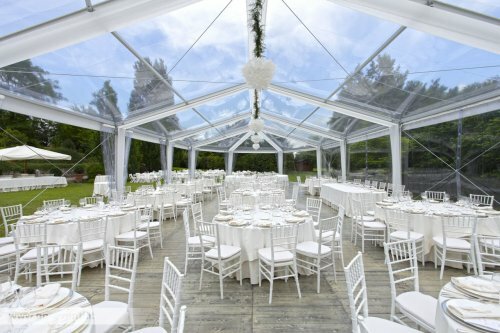 Entrusting own wishes to a person with a so great experience in this field, it guarantee you the absolute success of the event. 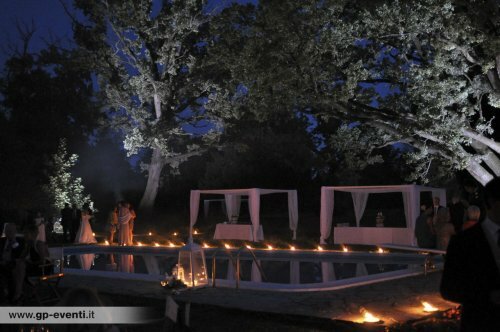 The project initially started out with a purely musical objective, however over the years it has gradually become enriched with a complete series of services to offer its guests. 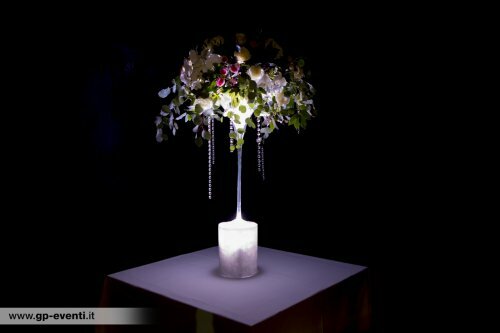 All services are independent and can be offered as a standalone package. 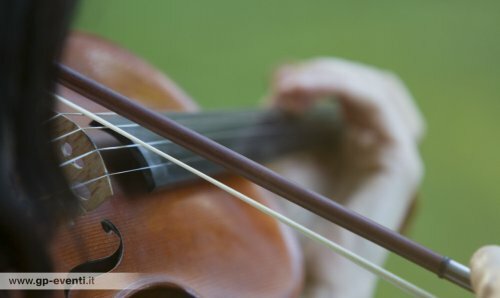 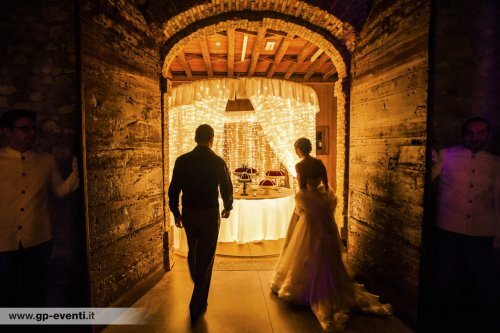 The right music during the wedding gives unique emotions to the bride and groom and accompanies them throughout the event. 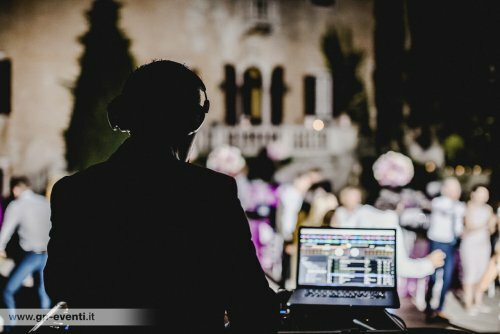 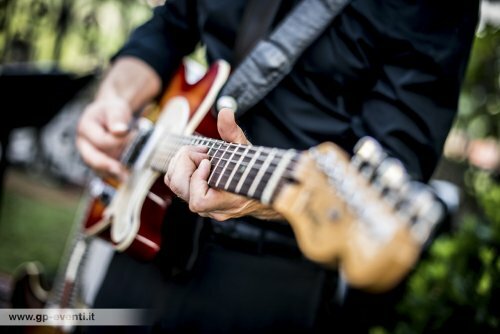 Gerry Paredes makes available all his knowledge in the musical area to satisfy every kind of need; in addition to the DJ Set, the musical proposal concerns professional classical musicians for the religious or civil ceremony and the most exclusive live band. 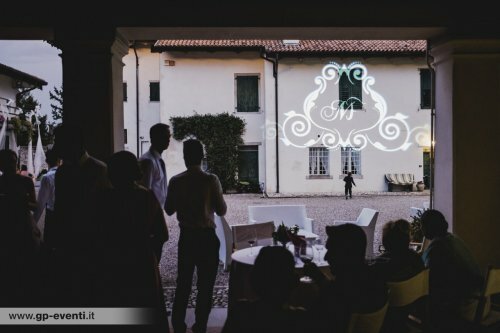 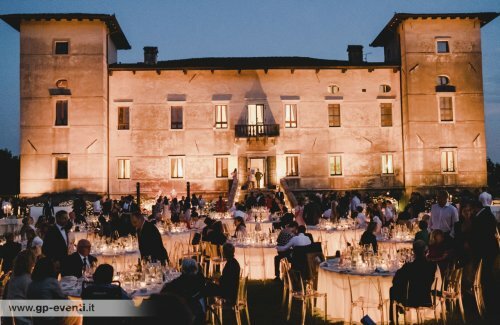 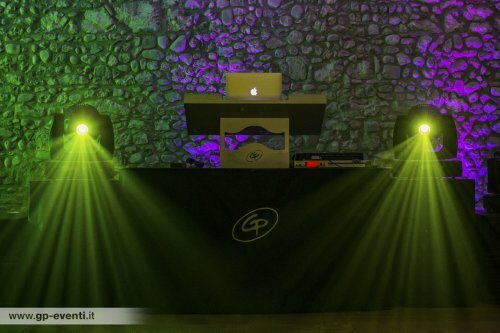 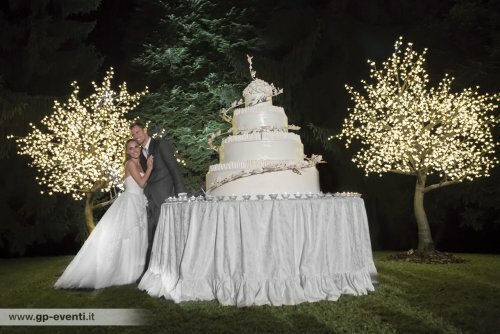 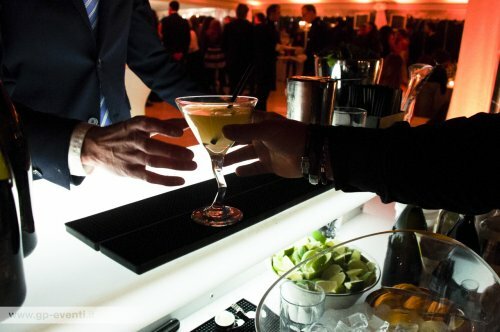 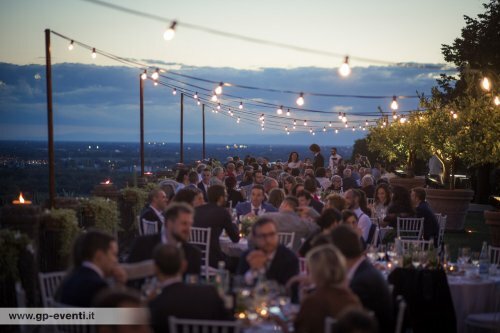 Using the right illumination, especially designed for a particular event with creativity and necessary skills, allows a location to be truly valued to its full potential: making those exclusive wedding moments justly "unique" is another one of GP Eventi objectives. 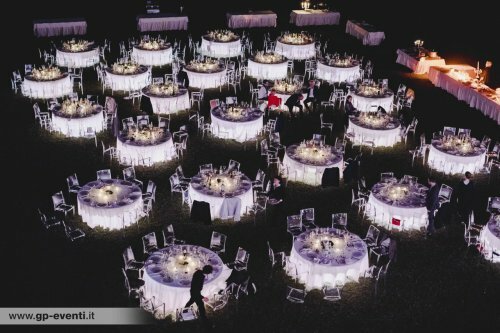 Architectural illumination, image and logo projections onto surfaces, impact light points or dim lighting for parks and gardens, synchronized light shows, with musical melodies, suspended light fittings creating a vintage effect, spotlight effects. 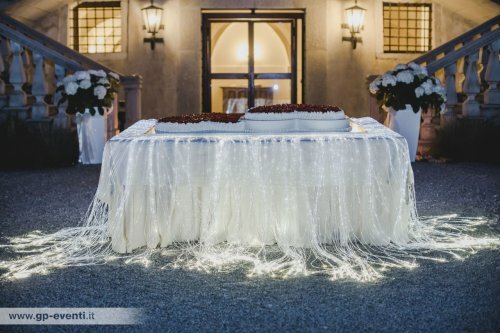 The magic of the Wedding cake with a brightly lit table or scintillating fibre optics in glass. 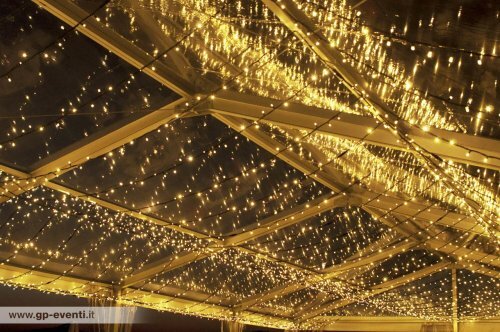 The elegance and the attention are dedicated even to the smaller details, first of all the invisible effect obtained from the laying of the ever latest generation materials. 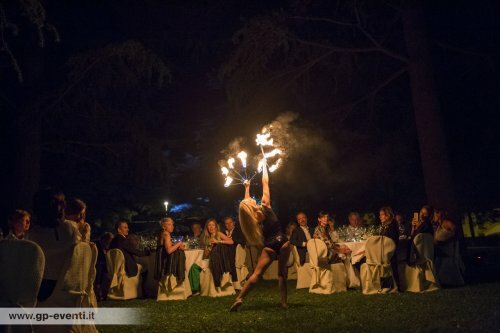 Obviously there will be no lack of artistic choreography proposals, with the best performers as man on stilts, fire-eater and showmen to give an extraordinary, original and refined touch to your event. 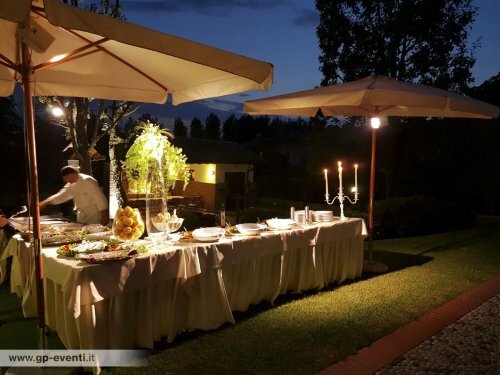 The main objective is to thrill the bride and groom and their guests with an atmosphere suited to their chosen locations, creating those "Unforgettable Moments".